While I can’t wear heels these days which are my absolute favorite, I am exploring flats and low heeled shoes. And what can be better than to go for Punjabi juttis which are comfortable and looks elegant. 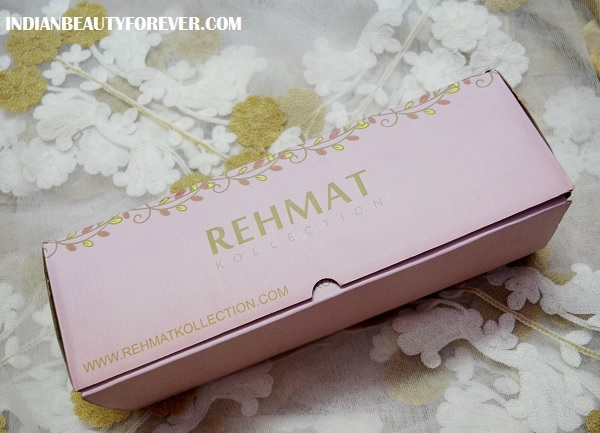 I am talking about the latest pair of footwear in my collection which is by Rehmat Kollection. They are the ones known to craft and make the highest quality Punjabi juttis. 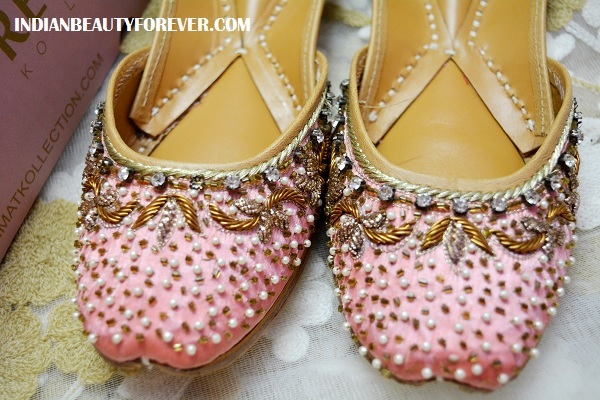 I chose these absolutely stunning stone studded juttis in peachy pink color. They are so richly studded with zari embroidery and stone work that they can be used for any occasion be it a wedding affair or for any Indian festival. These are pure leather Punjabi Juttis which can be worn comfortably during the day. If you will check their website you will see that they ship free in India and they also ship outside India but there would be some shipping charges applied. On my juttis, I loved the work of pearly beads along with some golden beads. They create a beautiful effect and along the edges there is this dull gold work which makes it look classy. The work is not just on the front part of the juttis but also on the back heel part. The juttis are made of genuine camel lining leather which is comfortable and also they have given extra padding cushioning in the soles, so that while you are wearing them throughout the day, they won’t give the terrible shoe bites or uncomfortable feeling while I walk.